I love yoga, and it’s incredibly helpful for us as equestrians. It can help build body strength especially in the core plus give you more body awareness and flexibility. I am inviting you to join me in a 30 day yoga camp starting January 1! I practice my yoga at home and absolutely adore Adriene from Yoga With Adriene. If you have not done one of her videos, watch one and you’ll soon realize why I love her so much. She’s the best! 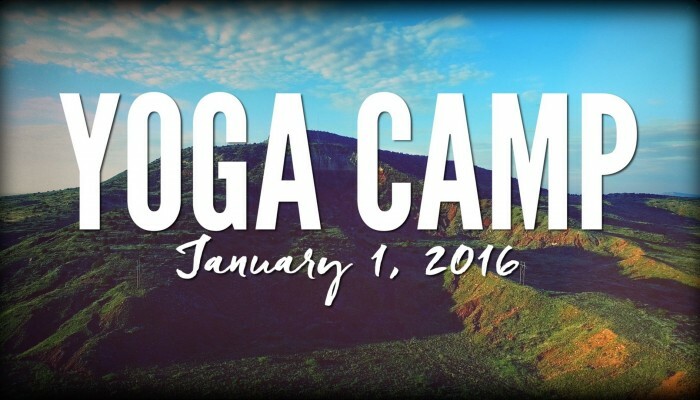 Yoga With Adriene is kicking off the new year with a 30 day yoga camp that I could not be more excited about. It is free so all you have to do is sign up and you will receive a calendar plus daily motivational emails. We will be using hashtag #vryogateam to keep track of any posts and to encourage you along the way! It’s going to be so much fun! Click on the photo to sign up! You can definitely do these on a carpeted area in your home, on a blanket, or a rug. But some items you may want to pick up to help your practice is a yoga mat and yoga block. You can pick these up at Target or online at Gaiam. I purchased mine from Gaiam because they had more choices and great sales. Thank you for joining me! It’s going to be fun!